I am obsessed with nanotechnology. I dream of a home where I would be running everything with the help of this technology. I would let you in for a secret dream, I infact marry nanotech to quantum physics and believe me! their are magical instruments which when and as needed change shapes and functions. But these are too distant dreams. As nanotech machines are steadily becoming a reality can I have this air purifier as my first nano machine? 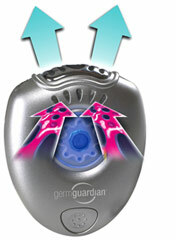 The germ guardian has developed this personal air purifier. It is like a necklace . 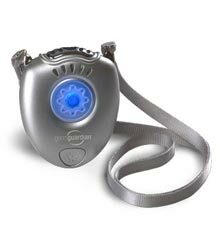 It uses negative ions to force away various pollutants. It uses rechargeable lithium batteries. The site says you can” wear it on airplanes, buses, elevators and more. I want to try this in Mumbai’s traffic jams. The price is $39.99. Are there any free trials?